Kyuhyun of popular boy band Super Junior has established himself as the crown prince of ballads. The singer's previous singles "At Gwanghwamun" and "A Million Pieces," both written by popular composer Kenzie, seized the hearts of thousands of local and overseas fans with his captivating voice, giving him the title of the next generation's representative ballad singer that would continue the tradition of Sung Si-kyung, who stands his ground as a giant in the ballad genre. With the release of the long-awaited third EP "Waiting For You" midnight Thursday (local time), the ballad prince will mark an end to his three-part ballad series. Veteran ballad singers Sung and Yoon Jong-shin each participated in the writing, composition and production of the two lead tracks, further heightening anticipation for the upcoming album. The track by Yoon entitled "Blah Blah" is lushly produced with a soft guitar sound fused with a retro electronic piano melody. Meanwhile, "Still," a collaboration with Shin, is a pop ballad which brings back the sentiments of the 90s. Five other seasonal songs will be featured in the album that highlight the singer's exquisitely sentimental vocals. 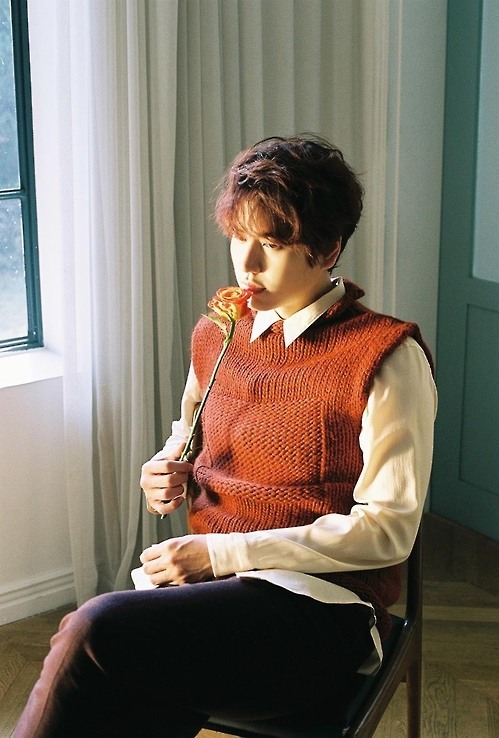 They include the pop ballad "Last Good-bye," where the soft-playing string instruments harmonizes well with Kyuhyun's sweet voice, and "Love in Time," which sings about a person indulging in the reminiscence of an ex-lover, sad that the memories are fading away with the passing of the season. Music company NUPLAY, composer Shim Eun-ji and the producing group MonoTree participated in the production of the tracks.